Get up to 4 quotes - right here! CRM system - Get 4 quotes from the leading market suppliers! 1 How many people will be using the CRM system? Please tell us how many people will be using the CRM system. 2 Preferred time of installation? CRM includes all the processes, practices and strategies that are used to analyse and manage customer behaviour in way that allows CRM companies to improve their strategies, relations and sales. A CRM system is the collection of software with a number of different applications and features that help and improve the process of customer management. CRM systems use all available technology to streamline the process of working with customers and clients. If you want to know more about, or obtain a CRM system, Market inspector provides a free service that can help you. Fill out the form and you will receive up to 4 quotes free of charge, with no further obligations. What Can CRM Systems Do? Traditionally customer data tends to be spread across all sorts of platforms and devices, making it quite difficult to keep track of all this information. Consequently, a lot of important data may go unnoticed or even get lost, this is where CRM tools come into play. CRM systems collect and keep track of all relevant customer information such as their purchases, online correspondences, website visits and more, through different CRM software applications. This allows users to have all this relevant information in one place, giving them a clear overview of the entire situation. The use of CRM systems gives businesses some real advantages, like drastically increasing productivity, with businesses being able to access information they need in a manner of seconds, rather than having to collect all the data manually. CRM programs also allow businesses to better prioritise their customer targeting, by highlighting which clients show the most promise. 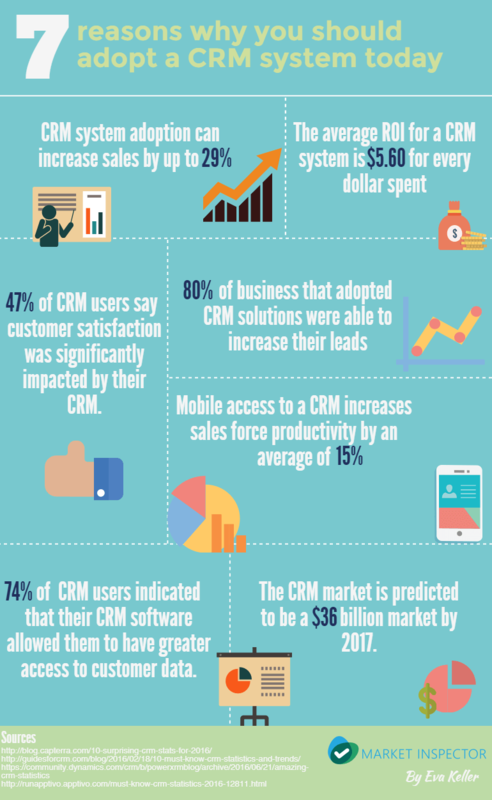 What Are the Benefits of CRM Systems? CRM sits at the core of most businesses, which rely heavily on their customers and the relationship with them. This means it is essential to keep this relation as good as it can be, and businesses should always be on the lookout for the best CRM solutions. CRM systems are currently allowing businesses to really improve their results through all the benefits they offer. Improved organisation: CRM systems collect all relevant data and store it in one place making it easy to find. It sorts and organise the data based on relevant and desired criteria, making access to the right data convenient and fast. It also backs up the information, meaning there is no chance of anything ever getting lost. Enhanced cross team communication: Everyone can see and add relevant data, no matter the department or location they work for. Especially with online CRM software, where anyone can access real time information whenever they need. It is clear who has to do what, leading to an increase in accountability. Improved analysis: CRM systems can significantly increase the quality of data analysis. Collected customer data can be hard to interpret, and the CRM system can pick out the most important numbers and figure and present it in a visually comprehensive manner. It also eliminates any potential miscalculations that manual calculations may have caused. Increased efficiency: time consuming, yet necessary tasks, such as filling in paperwork, scheduling and placing orders are saved and remembered by the CRM tools, allowing the system to access them directly, rather than an employee having to do it manually. This means there is a lot less time wasted on administrative tasks, allowing the company to save money on this front. Increased revenue: the CRM system creates better targeting profiles based on customer profiles, allowing companies to target new customers based on these findings. It also gives better sight of new opportunities to sell to existing customers. Customer service: when offering customer service, all the metrics are available allowing employees to help find the optimal solution based on the customer’s specific needs. CRM systems also give much better access to feedback, allowing employees to continuously increase the quality of customer service. Customer experience: because of the better segmentation and targeting done by the customer management software, customers receive better recommendations and targeted marketing customised for them. The CRM software market is a highly competitive one, with a number of CRM companies that each offer products with their own features and advantage, meant for different kinds of users. The following are considered to be some of the biggest and best CRM companies currently available. Salesforce: Generally considered to be the market leader when it comes to CRM software. This company offers a wide range of different online CRM products suitable for all kinds of business. Salesforce was the first CRM Company to offer exclusively cloud based CRM products. Zoho: Zoho has been around for more than 20 years and has continuously improved their CRM product. They offer a very user friendly CRM solution accessible to even those unfamiliar with such software. Hubspot: This Company offers a great free CRM solution for business that want to get a clear view of their pipeline. This CRM is also ideal for integration with additional marketing software that Hubspot offers. Netsuite: Currently owned by Oracle, one of this company’s strengths is their ability to create a very clear overview of a business’s customers. Their CRM system includes powerful features like marketing automation to further increase company results. How Much Do CRM Systems Cost? Seeing as there are a lot of different CRM solutions, the prices can range from inexpensive , or even free, to really expensive CRM systems. Of course, the price will also depend on which CRM Software is best for your company. Finding the actual price of a CRM system can be quite difficult. Few companies offer a fixed price, and base it on a number of factors. The following are some of the main items to take into consideration when trying to calculate the costs of a CRM system. What Types of CRM System Costs Are Involved? Initial cost: The first thing to take into account when trying to calculate the overhead costs are the installation and implementation costs. These cost can vary a lot, depending on the CRM company and whether you want something cloud or server based, and whether you want to buy a licence or pay a monthly online CRM subscription. Users: Most CRM programs base their prices on the number of users. This is why it is also important to think about business growth, and if the company will be hiring new workers in the future which may drastically change the costs. Features: Of course the main factor that will determine the amount the CRM will cost is the number of features it includes. Companies tend to offer different pricing profiles which include different features, from inexpensive , bare minimum offers to expensive but all-inclusive options. Overall, how much you will to spend also depends entirely on the company and what you want to get out of the system, and how much you will gain in return. Every CRM system is different, and has its own set of CRM benefits that sets them apart from others, but most of them share several features that at essential for a good CRM product. These features include some of the following. Of course the type of system will change what CRM tools are included. More expensive programs will include more, and more in depth features which can improve businesses exponentially. CRM system software can be divided into 3 category, which regroup them by main functionality. This makes it easier for companies to find a program that best suits their CRM needs. Analytical CRM is mostly focused on aiding management in better understanding all of the gathered data and to create an extensive and comprehensive overview. This CRM system show which customers are the most valuable and which ones may not be worth investing in. Collaborative CRM is mainly used for integrating and sharing data with various contacts. It is especially useful for larger companies with separate departments where direct communication can be difficult. This type of CRM system usually includes some form of partner relationship management application to help the contact between separate elements. Operational CRM aims to facilitate all sorts of operational tasks that tend to slow down the business process. It is most often used to streamline the sales operations by automating functions such as sales, marketing and customer service. CRM systems are becoming increasingly popular across all business and are more widely available than ever before. Thanks to continuous technological innovation there are a lot of options to consider and new CRM system trends can appear at any time. These are some of the most important evolutions of the past few years. Where is the past it was necessary to actually have the CRM system on site, nowadays everything can be done through online CRM systems. This has allowed to field expand with a lot of new competitors jumping into the field. Cloud technology is ever evolving and web CRM can now do more now than ever before, allowing the online CRM applications to take over the traditional server based CRM system. With the evolution of web CRM has come the age of mobile CRM. Business want to be able to access their information whenever and wherever they need, and there has been an increasing amount of mobile CRM applications. Social media is another facet of the industry that has become increasingly relevant over the past decade. It is nearly impossible for companies to go about their business without a strong social media presence. This has created some significant changes to CRM systems as well, creating more social feature integration. This is invaluable in an age where customers spend more time online. Choosing the right CRM system for your business is not an easy task, and there are many things to take into consideration. When looking for the best CRM solution, you first need to decide what it that you want to get out of the software. Here are some examples that may help you get a better idea of what is appropriate for you. How important are customer relations to your business? Is it the main focus of your business? If so, make sure to find something that has dedicated features to ensure smooth customer service. What is the size of your business? And how much are you predicted or wanting to expand? Some software are better for smaller business, while others tend to be more appropriate for large enterprises. How much money are you willing to spend? There are a lot of different CRM programs at many different price points. Having an idea of you budget can help narrow down the search. What features are of most use to you, do you need more help managing routine tasks or would something that focuses on relation building be more suitable for you? Look for a CRM system that meets your specific requirements, as to not invest in something that you wouldn’t use. Once you have a better idea of what would be suitable for your company, you can start looking for the CRM systems that fulfil your personal requirements. If you would like some help finding the best CRM system for you, simply fill out the contact form. We will provide up to 4 free quotes, without any further obligations.